Organic, Deep Moisturizer for Hardworking Hands! Made in New Hampshire. 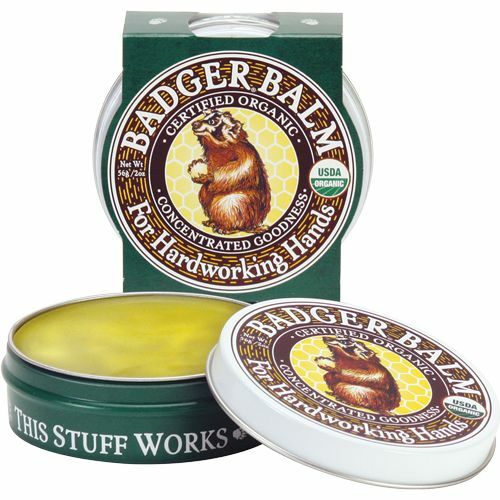 Badger Balm Ingredients: *◊Olea Europaea (Olive) Fruit Oil, *Cera Alba (Beeswax), *Ricinus Communis (Castor) Seed Oil, *Aloe Barbadensis (Aloe) Leaf Extract and *Gaultheria Procumbens (Wintergreen) Leaf Oil.